History of the German Shepherd Dog and Schutzhund/IPO. The German Shepherd Dog, originated in Germany in the early 1900′s due in large part to the visionary “founder” of the breed, Captain Max von Stephanitz. Developed from mostly sheep herding and other farm dogs, the German Shepherd Dog was envisioned by von Stephanitz to be a utilitarian breed able to excel in a multitude of working endeavors. Von Stephanitz was drawn to the herding dogs because they were the real working dogs of that era. He attended a small dog show in 1899 where he met a dog called Hektor Linkrscheim. He purchased Hektor and and changed his name to Horand von Grafrath. 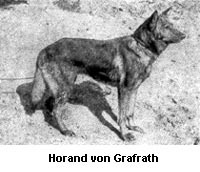 When von Stephanitz and his friend Artur Meyer founded the Verein fur Deutsche Schaferhunde (SV) or Society for the German Shepherd Dog, Horand became the first registered German Shepherd Dog. Horand’s type became the epitome of what Max thought a German Shepherd Dog should be. Von Stephanitz could not have made it more clear, that German Shepherd Dogs were to be working dogs, and that by breeding them based on their looks, and not intelligence, would be the demise of the breed. He warned strongly against this. 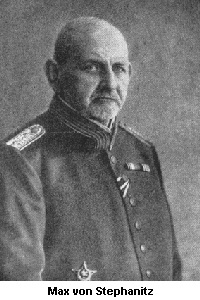 Knowing what he did about the abilities of this breed he had founded, and with Germany becoming industrialized and the needs for dogs for sheep herding were on the decline, Stephanitz and the SV approached the Military and Police in regards to using German Shepherd Dogs as service/working dogs. 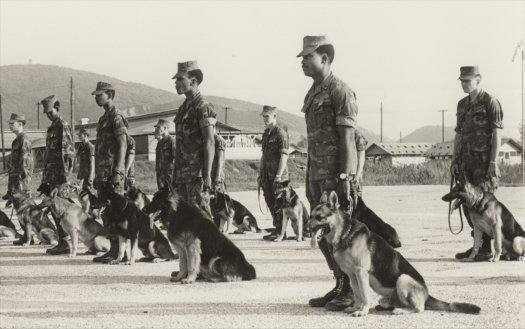 German Shepherd Dogs soon started to become employed for their tracking, protection and other service work. 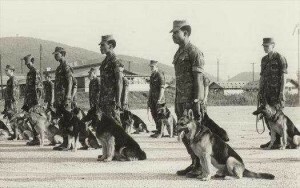 Schutzhund trials were soon developed, as a way to test and select German Shepherd Dogs for breeding to produce dogs best suited for work. Schutzhund consists of three phases, tracking, obedience, and protection. Each phase tests several characteristics that a quality German Shepherd Dog should possess. Temperament is observed and noted in the dog in all phases In tracking, the dog must follow a trail laid by someone, and indicate objects placed along the trail. The dog must be focused on the track, and follow each footstep, taking turns accurately and stopping at each article to wait for his/her handler to retrieve the article before proceeding on command. Tracking tests the dogs ability to scent, their trainability, their endurance, and concentration. A temperament test is also conducted before the track begins. In obedience the dog must demonstrate heeling, under gunfire, and through a group of people. The dog must sit, down, and stand on command, while the handler keeps moving. The dog must come quickly when called. The dog must retrieve a dumbbell on the flat, over a 1 meter jump, and over a wall. The dog must run out as fast as he can away from the handler, until he/she is commanded to stop and laydown immediately. The dog must also do a long down on the field, while another dog and handler team perform the above exercises. All obedience exercises are done off leash. Obedience tests the dogs trainability, it’s endurance, it’s desire to work with handler, it’s agility, and again, the temperament of the dog is observed. In protection the dog must do a directed blind search for the “bad guy” which I will call decoy. Once the dog finds the decoy, he must hold him there barking rhythmically until his/her handler approaches. The dog will then perform a series of apprehensions where he pursues and stops (bites) the decoy when the decoy is trying to flee, or trying to attack, and also a number of transports where he walks obediently with the decoy and handler. Ending in a long bite with a charging decoy. The dog must always out on command and be under control of the handler. The protection phases tests the qualities that are unique to working dogs, and the qualities that make a German Shepherd Dog suitable for breeding. Obedience and Tracking can be taught to any dog regardless of temperament (for the most part). Protection tests the dogs courage, power, nerve strength, fight drive, aggression, prey drive, trainability, agility, strength, stamina, and power. In addition to other factors (which we will describe in subsequent posts), a dog that shows a disqualifying fault in any one of these phases is typically not to be used for breeding. While many still utilize Schutzhund as a breed test, modern day Schutzhund has also become a sport for those to compete in with their dogs. Just as in football, basketball, and baseball, Schutzhund has evolved to become a highly-specialized (and can be a highly competitive) sport with specialized clothing, equipment, and training techniques. Those who embark on Schutzhund training as a first-time handler quickly realize that it as much a challenge for the human as it is for the dog. No matter the change in the sport with time, it is this challenge, together with the camaraderie of those who train in the sport and the lasting bond created between the handler and the dog, that is the essence of a tradition that carries forward from its beginnings.